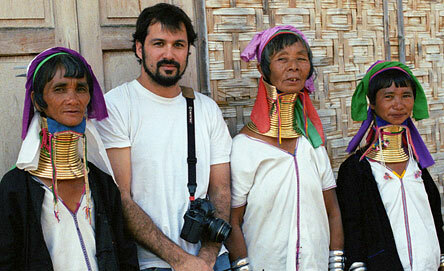 Greg Cohen (2nd from left) is an editorial photographer focused on portrait and documentary projects. His stories include orphans in Cambodia, animal adoption in the US and the universal magic of ice cream. There is a humanness to his imagery, connecting diverse people through their undeniable similarities; exploring the strange and familiar simultaneously. His work finds truth, humor and pathos in the experiences of his subjects and the landscapes that surround them. Native to the east coast, Greg currently lives in Los Angeles with his wife, 7 year old and cat.